With the recovery in oil prices, deepwater and ultradeep water oil and gas (O&G) projects are the focus of renewed interest. Project viability will come down to a continued focus on cost, but also productivity through high-performing assets. And electrification is set to drive a dramatic impact of these high-tech production facilities for more efficient operations. Following a prolonged downturn in prices, a flicker of life has returned to offshore production projects with oil recovering to around $70/barrel. The rising price of crude has, in turn, impacted on investment in production – up 4 percent in 2017 with a further rise of 5 percent anticipated by the end of 2018. As a result, we’re seeing a recovery in offshore activities and O&G production. 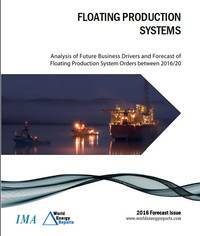 This activity includes an upturn in demand for floating production storage and offloading (FPSO) and floating liquefied natural gas (FLNG) vessels and the opportunity for new vessels to adopt the latest technologies. For the O&G industry, technology innovation can have huge benefits, but it can be perceived to add risk to projects and therefore constrain adoption of new technologies. But innovation doesn’t have to mean high-risk – it just needs to be cleverly and judiciously applied. The cumulative effect of proven technologies, adapted for offshore, making incremental improvements can have a transformative impact. Electrification is already gathering pace across the energy infrastructure as well as the transport sector. Proven to withstand the harsh offshore environments, it has the potential to change the dynamics of offshore FPSOs – allowing them to work ever more efficiently. Weight & Footprint: These sea giants are loaded with production and process equipment, together with the infrastructure to support the crew’s daily life. In fact, in the offshore environment, for every ton of equipment significantly more material is required to support it stably and securely. Each of these sea giants is like a mini island, and space and weight are at a premium. Any reduction in weight can deliver important savings in associated installation costs, and potentially allows more room for other critical operations. Maintenance: The offshore environment is difficult and expensive to reach – unplanned downtime immediately translates into huge expense as well as lost opportunity cost – up to $38 million per year on average, according to an internal GE research. And so, minimizing maintenance and maximizing asset availability is essential to keep control of operating costs. Operating efficiency: the prize of increased production efficiencies could be vast, improving productivity and project viability. These smart new production systems and technologies depend on electrical power to operate efficiently. A stable and smart power microgrid onboard each vessel unlocks the potential that electrification brings. It’s within these contexts that the benefits of electrification become clear. An electric motor driver solution, such as an induction motor, has fewer parts than a mechanical driver ensuring that costs associated with repairs and maintenance are minimized. Where variable speed is required for process, a motor coupled with a frequency converter can provide the required speed range, allowing the system to operate at any desired speed with top efficiency and higher availability. Traditionally a transformer has to be added to step down the voltage to align the voltage level of the vessel power network and the drive requirements, and to avoid generating harmonics and power losses. Conversely, electrification technology has advanced to the point where the electric drive system can run as high as 13.8kV, enabling it to connect directly to the vessel network. At the same time, the Active Front End of the converter can cancel any electrical disturbance eliminating the need for step-down transformers – saving space and weight on the vessel. Another innovation that is gaining momentum is the high-speed application. For an electric motor typically running at synchronous speed, it requires a gearbox (multiplier) to allow the compressor or pump to rotate at its optimum speed, i.e. greater than synchronous speed (circa 10,000 rpm). But a gearbox brings a whole set of issues of its own. It is positioned close to the compressor and this enlarges the hazard area on the platform. Gearboxes degrade efficiency and require lubricant oil and a cooling system – all of which increases the complexity and weight of the entire system. A high-speed electric motor, on the other hand, is capable of rotating at the driven unit speed and can therefore drive the compressor directly without a gearbox. That makes it more efficient and reduces footprint – GE’s high-speed motor technology (MGV) and advanced frequency converters MV7 with multi-level technology can eliminate the need for a gearbox and reduces the overall footprint of the drive-train by more than 25 percent. There is also one further benefit brought by electrification that is uniquely essential to FPSO. Generally, an FPSO is chartered to operate on a field for more than 15 years. Over the time, the environment – gas pressure, oil, water presence in the oil – will change significantly. The well pressure will decrease also. Using a variable frequency – electric – drive for the FPSO pumps and compressors enables greater control, accuracy and operational flexibility in the production process, as it helps the process unit to continue operating at the desired rated power, and therefore the desired efficiency level. The offshore oil and gas production sector has a bright future and is expected to recover to beyond the production levels before the oil price crisis. And companies who evaluate a wide spectrum of technology possibilities and embrace the right technology rather than accepting tradition will have a competitive edge during the time of industry recovery. Electrification, with its many and varied benefits, is primed to enable the oil and gas industry to take advantage in this new era. Azeez Mohammed is president & CEO of GE's Power Conversion business.